We have been providing quality, personalized publications chiefessays.net to churches and schools since 1971. 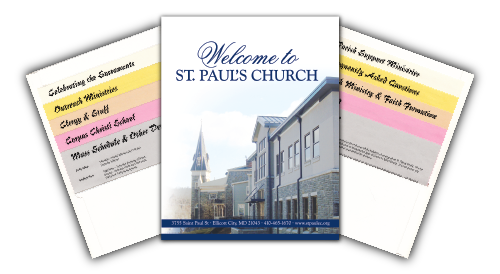 We can provide your church or school with publications such as Welcome Folders, Mass Schedule Magnets, and School Calendar Magnets. When it comes to the design of your publication, you will have access to our team of professionals designers that will work very closely with you to achieve the exact concept of how you wish your publication to look. You will have final approval of the design. If you wish you can provide artwork for us to use in the design process, including pictures, sketches and logos. Rest assured with over 40 years of experience of targeted, appropriate and family-oriented best essays publishing, we will supply your church or school with products that you will be proud to distribute to the families. Give us a call at 410-578-3600 or Contact Us!